“The mystifying amalgam of images, placed in some sort of elementary collage layout is presumably a representation of the borough. Many of the images look like they were cut out of a TV Guide circa 1984, and others, like the shot of Jay-Z has us wondering about legal repercussions. 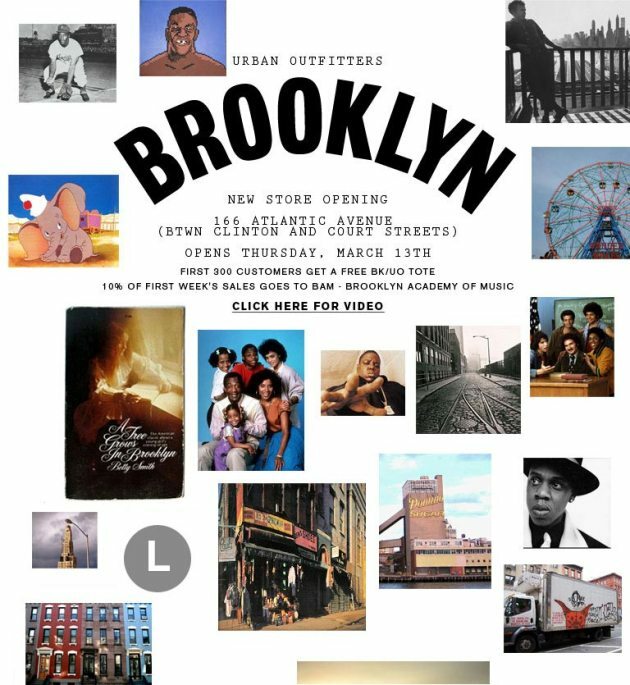 Or is Jay-Z the new face of Urban Outfitters? By the way, what’s Hova looking at? It would make sense to have his gaze fall reverently on Biggie, but it appears he actually has his eye on Lisa Bonet. We all know these people have enough money to do advertising the right way, and by right way, I don’t mean the American Apparel way.